Would you take 105 minutes to learn the secret of aging and age related illnesses. In my opinion, Dr Park, MD is the worlds expert on age reversal technologies, and has proven it clinically. This talk was done in Korea, to a group of medical doctors, so it is a bit technical, but you will get the picture and the significance of his work. It’s a huge advance in preventative health care. Here is a 16 minute interview if want to see why you may want to take the time to watch the above video. He has developed a product to benefit from this research, you might want to give it a try. 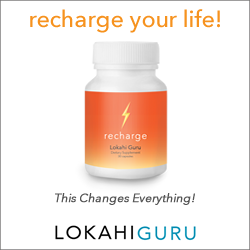 Recharge, formulated by Dr Ed Park. Posted in Uncategorized and tagged Age Reversal, Anti Aging, Optimal Health, preventative medicine. Bookmark the permalink.